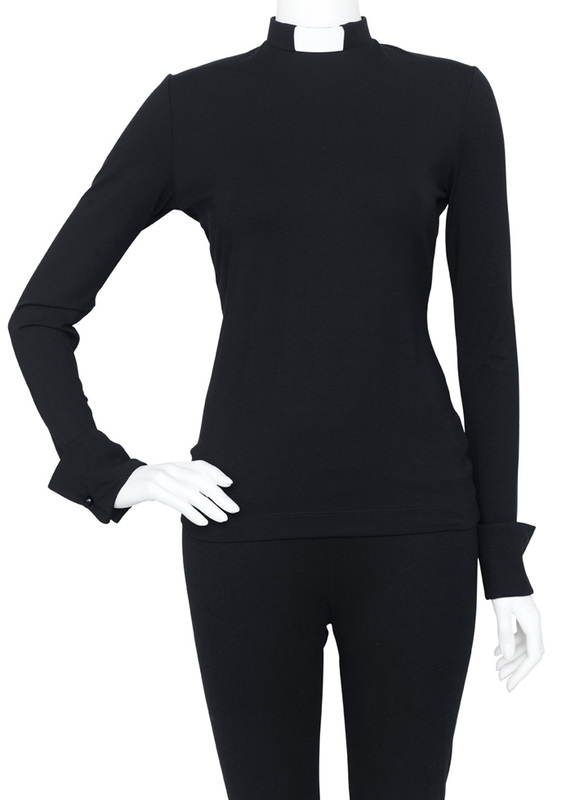 An elegant jersey top with a slim fit, long sleeve and double cuffs – designed to fall somewhere between a clergy shirt and a top. The Jersey fabric is comfortable, with 5% elastane for a little give and the perfect fit. All of our products include a slip in collar.